Different travel credit cards have been designed to meet the needs of those people who travel frequently for work or simply enjoy traveling. They each have a unique reward system and perks which help you choose the card best fitted for you. The point of the reward system is to steer your money the way the card issuers want it to go, and what you get from it is saving money you would have otherwise spent. Read about some of the best cards and benefits out there, as well as some of the things you need to have in mind before you even decide to apply. 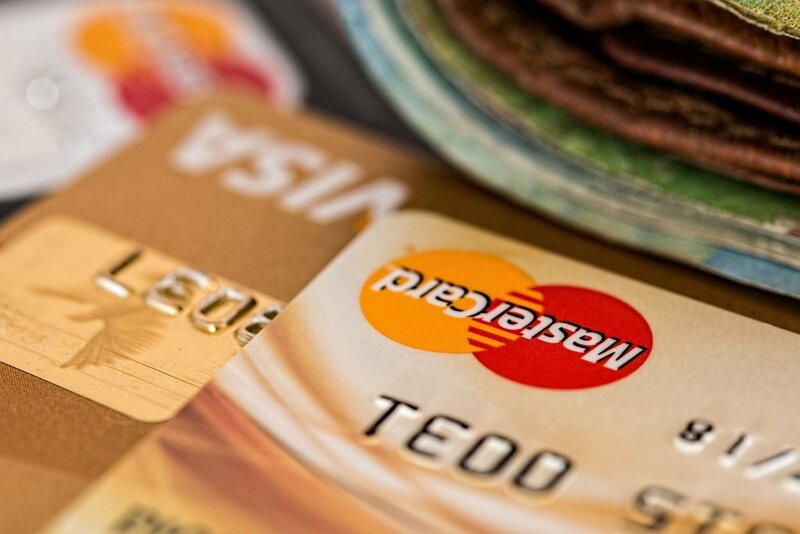 What is your current credit card score? Consider this before you even start the selection process. If your score falls under 650 you are probably looking at Capital One, Barclays or Discover cards. Anything over 700 should offer you plenty of options. The second thing to look at is your spending habits. If you have to, sit down and try to put it on paper. Once you manage to do that, you will be able to compare it to what certain credit cards have to offer and you will know which one is the right one. This travel credit card is one of the most popular cards as it offers a wide range of perks through its reward program. This is, of course, one of the cards with the highest criteria for approval. The average credit score according to johnnyjet.com is 740. However, there are other things taken into consideration such as the number of credit lines you opened within the last two years. This could be an indication of bad financial management or someone who is signing up for different cards in order to make use of the sign-up bonus. Chase will also take into account all of the cards you have actually applied for within the last 90 days and not just those you already have. Having mentioned sign-up bonuses, Chase is more than generous. They offer 50,000 Ultimate Rewards points for those who spend $4,000 over the period of first three months. Add an authorized user to your credit card within this period and they will reward you with another 5,000 points. Some of the best features of this credit card are that you will get 2 Ultimate Rewards points for dining and traveling and 1 for everything else. The points can be transferred to the 1:1 ratio when used with many affiliate airlines and hotels. Each point is 1.25c worth when used for your traveling expenses. You will also have a CDW coverage for car rentals. An important point to make is that they do not apply the annual fee of $95 for the first year. This is a premium travel card and is design for those who spend most of their time traveling mostly by plane. There are differences between the two of the chase’s cards but they are generally targeted at different users. The sign-up bonus is truly amazing and it is 50,000 Ultimate reward points, each worth 1.5c when translated into traveling money. The same terms apply as with the Preferred, you have to spend $4,000 within the first three months. They also offer a $300 of travel credit per annum for covering any travel expenses. The reward system for this card is a bit more rewarding as you can get 3 points per each dollar spent on dining and traveling, and 1 point per dollar spent on other purchases. Your Global Entry and TSA Precheck fees will be reimbursed with his card and you will also be able to get CDW coverage for car rentals. Another perk is access to the Priority Pass Lounge. The annual fee is $450. If you care to have a further look into the comparison between the two cards, you can easily find the info here. This is one of the best hotel travel cards and it rewards you for staying at Starwood properties (5points per dollar) and Marriot properties (2 points per dollar). It will also give another 1 point for other purchases. The points can be transferred at a 1:1 ratio and used for Marriot, Emirates, and Delta loyalty programs. You will receive a free-of-charge Boingo Wi-fi hotspot. The sign-up bonus is 25,000-star points and you will receive them after you spend $3,000. The annual maintenance fee is $95 but it is waived for the first year. This is a top-of-the-range free credit card and it does not apply annual maintenance and foreign transaction fees. The reward point system is simple and you get a 1.5points for every dollar spent. There is a 1% award travel statement credit you will receive from all purchases. Furthermore, if you are a customer of Bank of America with a savings or a checking account, you will receive additional 10% on all purchases. You will receive a sign-up bonus of 20,000 points for this card only after you spend $1,000. The sign-up bonus is 50,000 miles for the first $3,000 spent within the first three months. This can also be translated into $500 statement credit, as well as, 2.500 in reward miles. The annual fee applied is $89. You can also use other, non-specialized credit cards for traveling and look into their reward system. For example, visa card travel benefits include reward points and freebies for stays in different hotels, traveling, car rentals as well as many other holiday activities. Bear in mind that you should only apply for a credit card if you are financially stable, you are good at managing money and can afford to make the monthly payments.